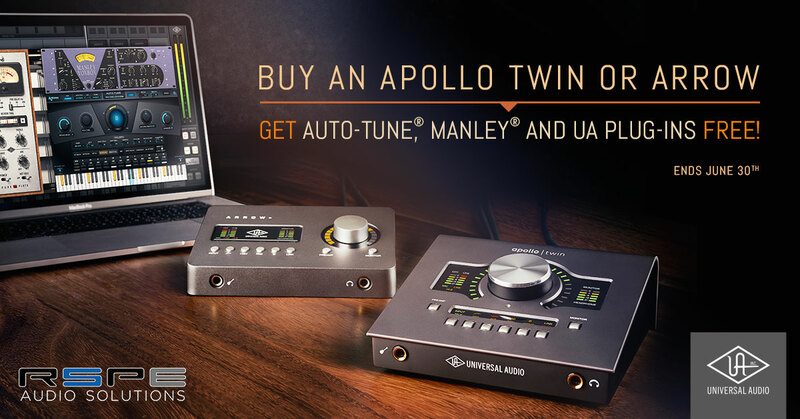 Buy UA Apollo Twin or Arrow, Get Free Plug-Ins! Universal Audio Apollo Twin and Arrow audio interfaces let you shape your recordings into records with genuine UA conversion and FREE classic studio sounds like Antares Auto-Tune Realtime Advanced, Manley VOXBOX, UA Oxide & Pure Plate plug-ins and more. Shop Apollo Twin & Arrow at RSPE and claim your free plug-ins! Don't wait, deal ends June 30th!